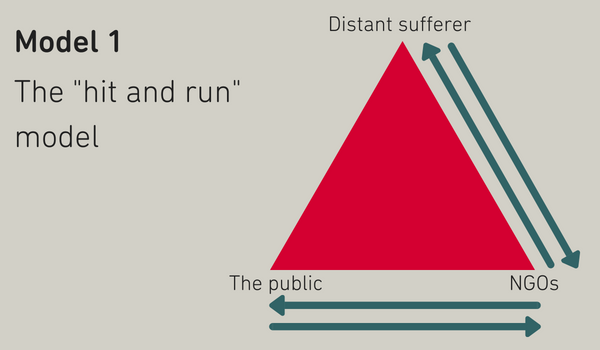 What stops the public engaging with humanitarian issues? Since news of sexual exploitation in the international development sector broke a few weeks ago the media has often referred to a crisis of trust between NGOs and the public. But the findings from a three year research project, funded by the Leverhulme Trust, suggest that the crisis of trust has been going on for a while. Recent developments have exacerbated, rather than created, this disconnect between the public and charities. 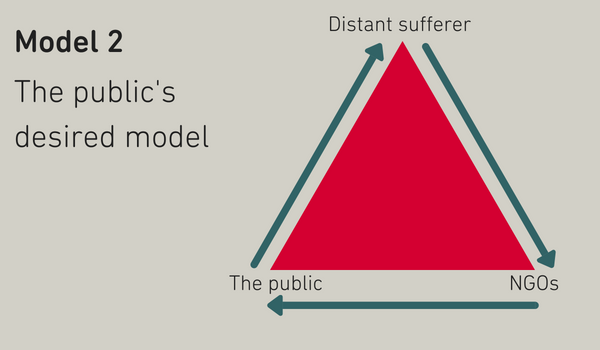 The research also identified difficulties in the public’s relationship with what I call the ‘distant sufferers’ – the beneficiaries of NGOs’ humanitarian interventions. Overall, the British public is generous, caring and responds sympathetically to those in need, both in the local community and in distant countries. Emotional barriers: most people learn about humanitarian crises through traumatic imagery and information. They expressed fatigue in response to the ‘hit and run’ approach – “this is a horrible story, give us your money and we will make things better” - used by NGOs to communicate with the public. The over-use of this method has created a backlash and a hardening of attitudes. People feel emotionally manipulated by NGOs and that “all they want is my money”. Lack of understanding: Cynicism and despondency towards current models of humanitarian actions stop people from acting. This originates from a widespread belief that humanitarian problems are intractable, chronic and that “nothing ever changes”. A powerful example of this is what focus group participants referred to as “the Africa thing” – that donations go into a “bottomless pit” of need with little result. Moral pointlessness and parochialism: people also expressed dissatisfaction with monetary-based requests from NGOs; they feel that monetary donations increase the human distance between themselves and people living in poverty. They wanted a deeper and more meaningful involvement with those in need abroad. In the absence of these, people retreat into familiar caring relationships with those nearer to them. In its extreme expression, this could lead to parochialism; a potentially xenophobic turning away from what is too difficult to comprehend and therefore help. Problematic public-NGOs relationship: people expressed the need for a shift in the way NGOs relate to the public, and in their role as ‘mediators’ between the public and distant sufferers. They want to move away from the ‘transactional’ model, which people perceive to dominate humanitarian communication and exchanges, to a more relational exchange. See the two models below. suggest actions that are effective, commensurate and that ordinary people can recognise and find meaningful.